One of the best things about holidaying in Great Britain is that you can take your pet with you, so a 'family' holiday can truly mean the whole family! Where do I use my Haven holidays voucher code? Browse the deals on the NetVoucherCodes Haven Holidays' page then click the offer you would like to use. Follow the link to the Haven website. Search and find a holiday applicable to your chosen deal (your savings will be automatically applied), you can filter your holiday results by region or a park. Next, select the holiday you would like and add any optional extras. Click ‘Next Step’ at the bottom of the page to complete your payment and enjoy your holiday for less. Haven Holidays owns and operates 36 family holiday parks, providing caravan, touring and camping facilities across Britain in predominantly coastal locations! So, if you can't wait to get away from it all, escape from the city and head for the coast then a Haven Holiday is the perfect choice for you! Drop everything off in the caravan before racing down to the beach and dipping your warm toes into the cool surf. Watch your children having the best time ever, whether that's playing on the beach, splashing in the water or running free within the safe environment of Haven's parks. With holiday parks dotted around the coast of the UK, and with multiple awards including the ‘Best UK Holiday Park Operator’ and ‘Best Large Camping and Mobile Tour Operator’ from the 2012 British Travel Awards, Haven Holidays have proven a premier destination for British holidaymakers for many years! There’s accommodation to suit all tastes, with static caravans, chalets, apartments, touring and camping options, including 'glamping' - renting the very fanciest of pre-erected tents so there really is something for everyone. Every park is situated somewhere special - whether it’s Riviere Sands on the southerly extreme of Cornwall to Seton Sands up in Scotland, there is somewhere for you! No need to worry about how you’re going to spend your time either, there’s an exciting wealth of things to do and see. Haven parks provide plenty of sports activities, dining options, live entertainment, pools, kids’ clubs and more, and that’s all before you even step off the park to explore the best of Britain’s beautiful beaches and seaside. 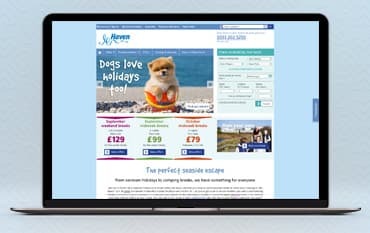 If a Haven holiday sounds like something you and your family would love, check our deals page for Haven Holidays discount codes and vouchers to save yourself money on a very British holiday. If you love to be by the seaside you’ll be in your element at Haven Caravan Parks. Haven’s 36 caravan parks are dotted around beautiful parts of the UK coastline. So whether you want a holiday right on the beach or a few days near the rolling hills you can pick the perfect resort with Haven. Craig Tara Haven Park offers caravans with stunning views out to see and the resort boasts the biggest Haven pool with giant flumes, multi-lane slides, water jets, lazy rivers, and waterfalls. There’s also an indoor sports complex and a new refurbished ShowBar where you can catch all your favorite live shows, keeping everyone entertained. There are plenty of destinations to choose from, some of the favorites including Hafan Y Mor, Devon Cliffs, Lakeland & Blackpool so you are bound to find a caravan park you love. Be sure to check out our deals section for all the latest offers or discount codes. Haven tailors their Caravans to suit your needs offering four main grades for you to choose from. If you're looking for basic accommodation, Haven offers good quality standard models as a place to simply rest your head. Or, if you're looking for a more family-friendly Caravan Haven offers Platinum and prestige models that include central heating and double glazing. If you're looking for a more luxurious option, Haven offers deluxe models that are less than two years old and provide a dishwasher, a 40” TV in the lounge and a 22” in the master bedroom. Two and three bedroom models are available which include a fully equipped kitchen, shower room, and TV, as well as gas, water and electricity. There are also designated pet-friendly grades that accommodate two pets per caravan, dogs are also welcome at the majority of the parks. Is there wifi in your parks? Wifi locations vary from park to park, to find out what parks have wifi and where please contact the park you're staying at directly. Haven Holidays have designated pet-friendly Standard, Deluxe and Prestige accommodation if you'd like to bring your pet with you. Haven Holidays allows you to cancel your holiday up until the day of your arrival, however, the closer you cancel to your holiday date, the less money you'll be refunded. Haven Holidays specialise in providing fun and family-focused getaways in seaside locations across the country which can be a great and more affordable alternative to travelling abroad! You can even snap up one of our Haven Holiday discount codes and make a great saving on a family adventure you will remember forever. With a huge selection of holidays to choose from in various locations, you are sure to find something you and your family will love. With everything from Family beach holidays to romantic weekends, you’re spoilt for choice! We are constantly on the hunt for Voucher Codes for Haven holidays to help you with your money saving. Our experts check dozens of sites for secret codes including NHS discounts, student sites & social media channels saving you time & money!